,: It has been a very sad week. 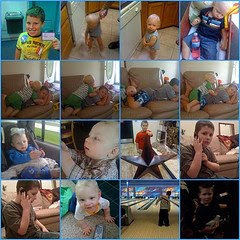 My husband close friends son, Will, was diagnosed with cancer last year on Nov 12th. Last march since Dale and I owned an Irish Pub we decided to host a St Baldricks Childrens Cancer event. If you are unaware what St Baldricks is about you can check it out here. Last year, our family honored Will (Who was present at our event) by shaving our heads for cancer research. We never thought that our next event Will would be an angel. Will passed away on Nov 11th after fighting so hard and so long. He was 6 years old and went through more in his 6 years that most of us go through in a lifetime. We are devastated. Please check out stbaldricks.org so that we can eliminate this horrible disease.